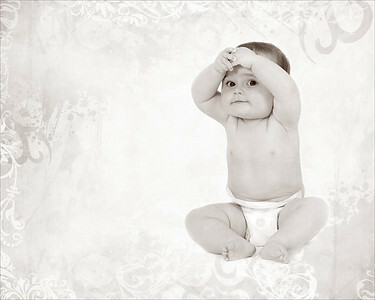 3 Photo Sessions In Your Baby's 1st Year Showing just how much they've grown! Babies aren't babies for long people say and they're right! Time passes so quickly and before you know it your sleepy newborn is a full of life toddler and you're left wondering where the first year has gone! The Cherubs "Watch Me Grow" programme ensures that each important stage of your baby's first year is captured thus safeguarding those precious memories. 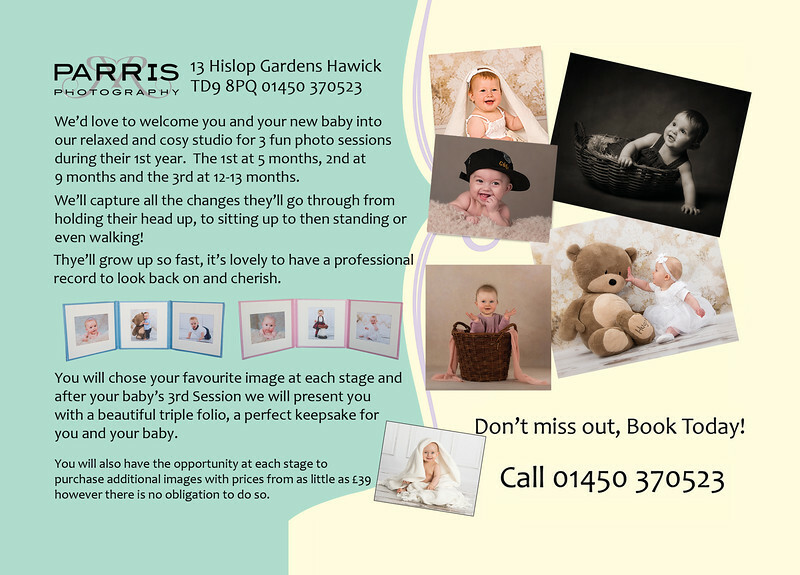 Parris Photography invite you to join us for 3 Portrait sessions over the course of your baby's first year. 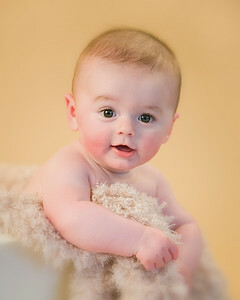 The first at around 5 months when baby is supporting his/her head and has found that all important smile. The second at around 9 months when baby is sitting up and interacting with their surroundings. The third at around 12-13 months where baby could be standing or even starting to walk. 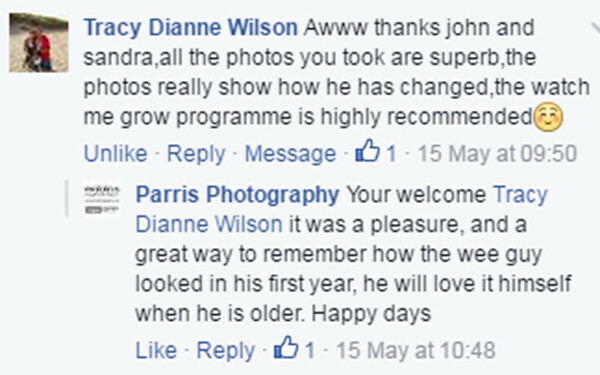 After each session you will be invited back to the studio to view your images. 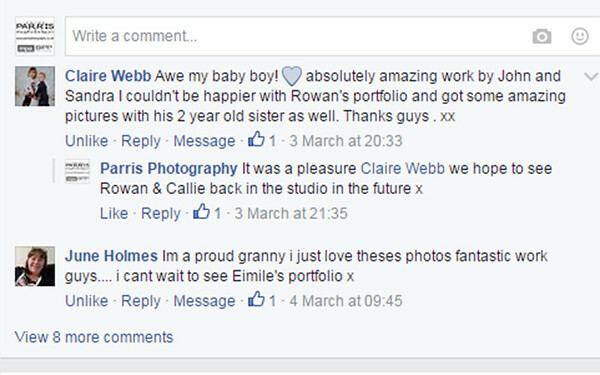 At each viewing you select your favourite image of your baby and after all 3 of your viewings we will present you with a gorgeous handcrafted triple folio containing your 3 chosen images recording your baby's first year. You also have the opportunity at your viewings to purchase any additional prints or products you may like but you are under no obligation. Other family members are welcome to join baby, in the 2nd and 3rd sessions such as Mum, Dad, Brothers, Sisters and Grandparents too. How much does it cost to sign up to the "Watch Me Grow" programme? What's the catch? There isn't one! 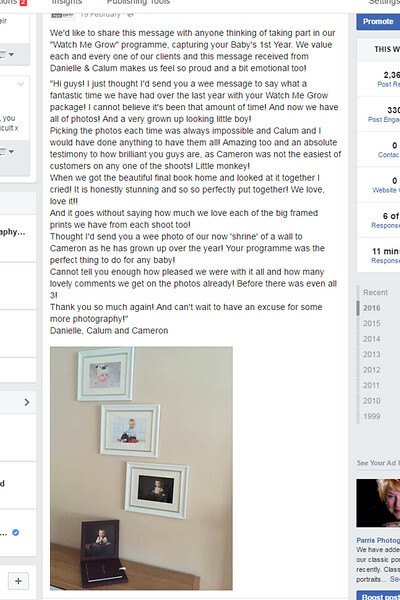 Obviously we hope you'll love your baby's photographs so much that you'll want to purchase additional products for yourselves and your family but as we already said, you are under no obligation at all. 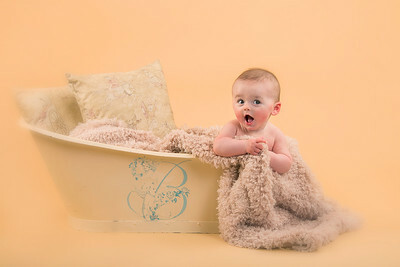 Cherubs is the UK's longest running baby photography promotion - established by the Master Photographers Association in 1993 and supported by Bounty UK. 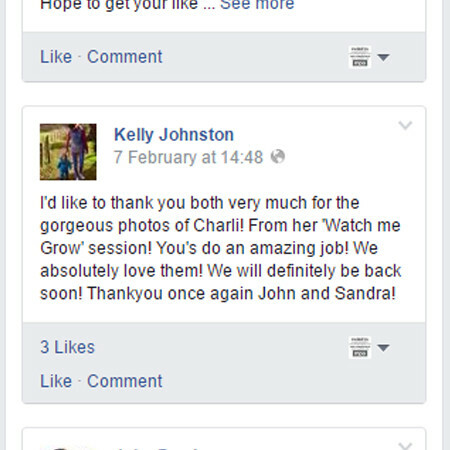 Its offered exclusively to new Mum's giving them more opportunity than ever before to capture those all important moments in every new families lives. 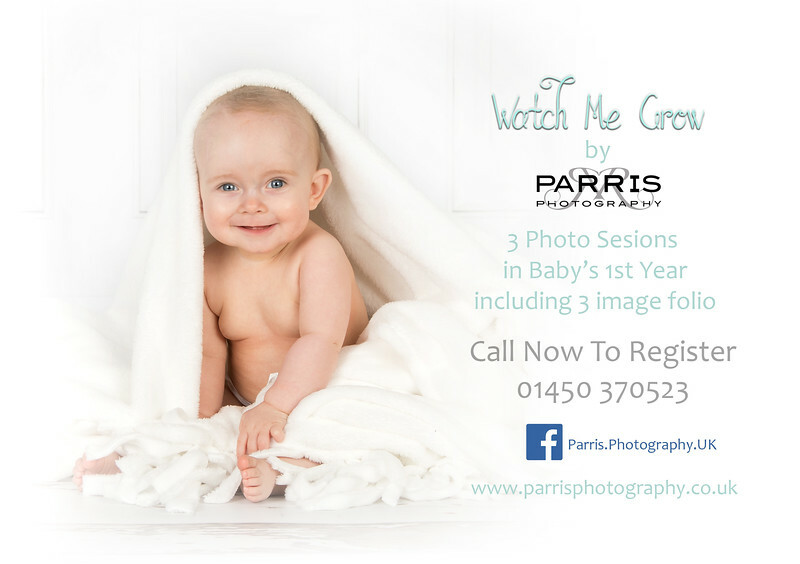 We at Parris Photography are qualified Cherub Portrait Photographers and by taking part in this very special promotion you have access to many beautiful products and promotional offers. 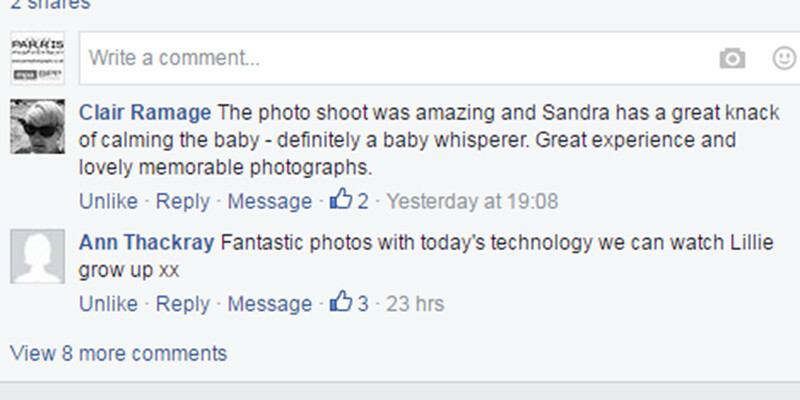 We were also very excited to be named UK Cherubs Baby Photographer of The Year 2015/16 and 2017/18 by The Master Photographers Association.